Toxicology is the very foundation of homeopathy. Samuel Hahnemann read toxicology reports on various minerals and plants to provide insight on their homeopathic counterparts. Constantine Herring is known to have poisoned himself with the venom of Lachesis, having asked his wife to chart the provings of the remedy. 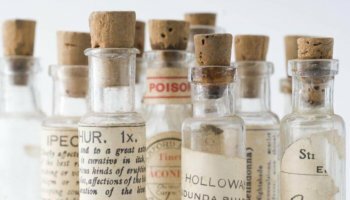 Some of the greatest homeopaths to date have used toxicology to glean the most important aspects of homeopathy. Understanding the toxic profile of each crude substance can not only substantially deepen your knowledge of their corresponding homeopathic counterparts, but it can also narrow your search for the best-fitting remedy. In this particular course, we will be discussing strychnine, a substance found in both Nux vomica and Ignatia. Perhaps most importantly, we will identify how strychnine influences the symptom pictures of these two polychrests. In this online course, you will become intimately familiar with the toxicological findings and homeopathic portraits of Nux vomica and Ignatia. You will learn to look out for the telling characteristics, such as muscular spasms, risus sardonicus, and exhaustion, helping you to narrow down your potential homeopathic prescription from thousands of remedies to just two. Appreciate the importance of toxicology in understanding homeopathy. Identify the signs and symptoms of strychnine poisoning. Compare the toxicological profile of strychnine poisoning and tetanus. Compare the picture of strychnine poisoning to the homeopathic portraits of Nux vomica and Ignatia. Identify the characteristics of strychnine-containing remedies. Compare the homeopathic profiles Nux vomica and Ignatia. Please Note: this speaker does not have any conflicts of interest in teaching this presentation.